Nowadays more companies are preferring online exchange servers which saves infrastructure & maintenance costs and as a SAP Netweaver Administrator we have to configure it in SAP system for sending emails. If your mailboxes are in Office365, then there are a few options available to setup in SAP and other third part applications : SMTP relay,or client SMTP submission, or Direct Send. 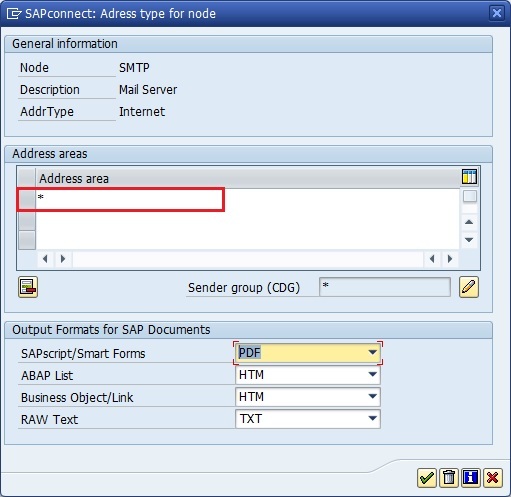 For SAP, we can use two options – 1.Client SMTP submission and 2. SMTP Relay. 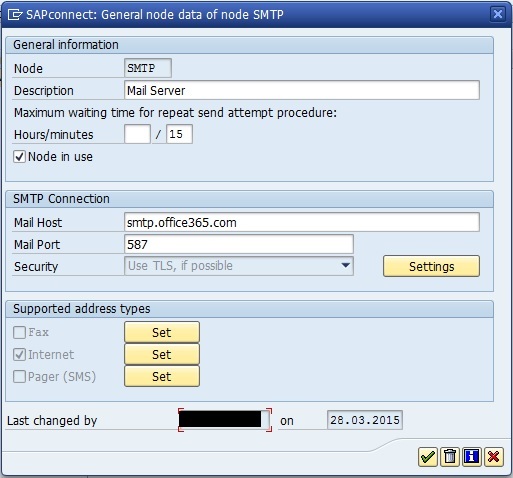 Lets configure Office365 in SAP SMTP with ‘Client SMTP submission‘ option. 1. Make sure network connection is open from your SAP server to Office365 host and you are able to ping & telnet Office365 host. 0: A TLS prompt does not take place. 1: The server prompts the client to encrypt using TLS. 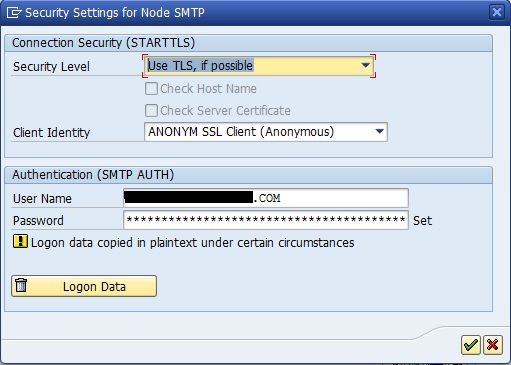 If this is not possible, the connection via SMTP is accepted without TLS. 2: The client has to use TLS for encryption; otherwise, the connection is terminated. 3. From SMICM transaction, restart ICM after setting up above parameter and also check ICM services, SMTP service should be active. 4. 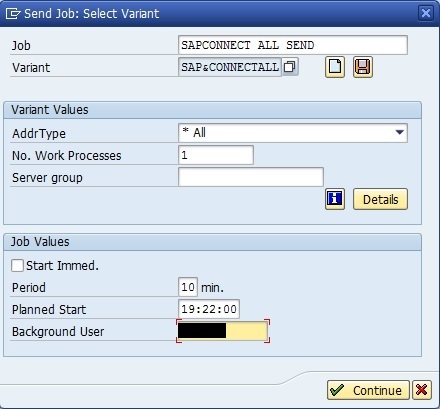 From SICF transaction, activate SAPconnect service. 5. 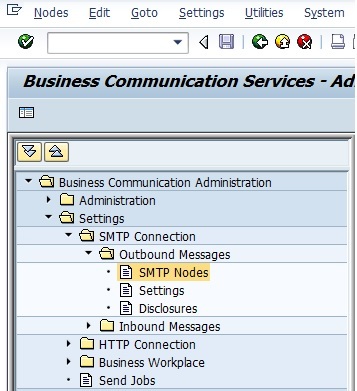 In SCOT transaction, select SMTP Nodes as shown below and from menu choose Nodes -> Create . From Office365 you can find out the mail host and mail port details. Login to your office365 account -> Setting button -> Options -> Mail -> Accounts -> POP and IMAP -> Under SMTP Setting you will get required details. Now click on Settings button in front of Security field, here select the TLS option as explained in point 2, make sure your ICM parameter is set accordingly. Under Authentication, you need to provide valid office365 account email ID and password, <xxxxxx@yourdomain.com>. You have to use same email ID for SAP user with which you are going to send emails outside SAP. On first screen under Supported Address Types -> Click on Internet (if you want to setup only email), in Address area you can restrict to which domain you want to send emails, with * option will allow to send emails to all domains without restriction. 6. Scheduling email send job- From Scot screen double click on Send Jobs. Click on Schedule Job button and select Job to be scheduled. Provide details as Job Name, Period, User and Variant if you want to change default, click on Continue and save the job. Now try sending email from SBWP and check status in SOST. With older version of SAP(lower than 7.31 Support Package 6 and 7.21 kernel) where TLS functionality is not available, we can use other option of ‘SMTP Relay’. In that option, we have to setup IIS service as SMTP relay on local windows server and then use this server details in SCOT. Link is provided in references on how to do it. GMT+8, 2019-4-23 14:53 , Processed in 1.084181 second(s), 30 queries .